At Gold Hill Dentistry, we are proud to offer our patients a variety of cosmetic dental procedures. We understand that many people wish that they had a brighter, more even, and more appealing smile. Stains and discolorations, chips from accidents or injury, and gaps between the teeth can all detract from the attractiveness of a person’s smile. Gold Hill Dentistry has talented and experienced cosmetic dentist that can transform your smile into one that you are proud to show off. We are a comprehensive dental practice in Fort Mill, SC that offers procedures for patients of all ages. Teeth whitening has been the most popular cosmetic dental procedure requested for decades. Many times, simply brightening the teeth by a few shades can transform a person’s entire face. For those whose smiles require a bit more finesse, Gold Hill Dentistry offers a full range of cosmetic dental procedures. Porcelain veneers are a popular choice for those who have chipped, broken, and misaligned teeth. Veneers are thin shells placed over the surface of the teeth to hide imperfections. People can dramatically transform the appearance of their teeth with veneers, and they are also a very popular choice among patients. 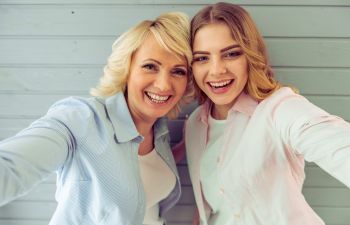 Whether your smile needs a subtle fix or a more complete repair, the cosmetic dentists at Gold Hill Dentistry will work to create a smile with the perfect balance of beauty and function. Dr. Sagunarthy and Dr. Mokris use their experience and knowledge with the latest in technology to help patients achieve the smile of their dreams. Contact our office today to schedule an appointment, and be one step closer to a more beautiful smile.